As we settle into 2017, it’s time to start looking at and appreciating the charmed life we lead in Sequim. If you don’t already live here, perhaps it’s time you join us? There are many significant reasons to move to Sequim. The obvious one that most people talk about is weather, and the infamous “blue hole” in which Sequim resides. While that is certainly fantastic and an important part to life here, that’s not all there is. 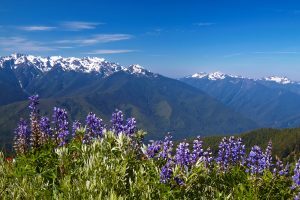 Sequim is also considered a gateway to all of the incredible destinations further west on the Olympic Peninsula. In Sequim, you get all of the amenities of modern life: High quality doctors, good schools, a vibrant community culture, plenty of stores and restaurants, and an active retired community. From there, your journey is only just beginning. Hit the slopes at the popular local ski hill, Hurricane Ridge. 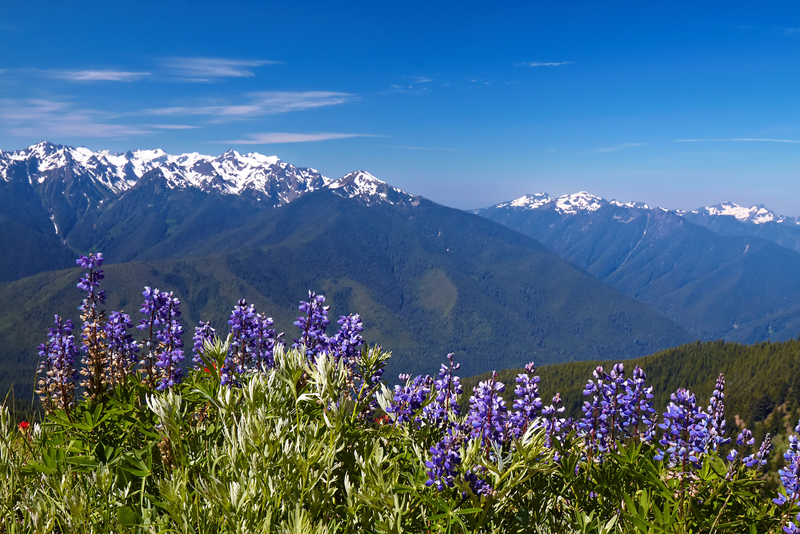 Fun fact: Hurricane Ridge is the furthest west ski area in the contiguous United States, and one of only three ski areas in the country located in a National Park. The Ridge has fun activities for all, too, including downhill skiing and snowboarding, cross-country skiing, snowshoeing, tubing, and sledding. Chase waterfalls and take an easy hike at Marymere Falls near Lake Crescent. Marvel at the sheer magnitude of change at the Elwha River Restoration. You can read our previous blog about it for more information. Visit the Hoh Rainforest Visitor Center and Hall of Mosses trail. Though it’s a drive, it’s one that is totally worth it. If you don’t want to go that far, stroll through the Ancient Groves Nature Trail near Sol Duc Resort. It’s a half-mile trail that wanders through an old-growth forest bursting with spongy mosses and lush ferns. Visit a coastal beach. The Olympic Peninsula has 73 miles of stunning, rugged coastline. We have great beaches in Sequim, but nothing beats the majesty of our coastal beaches. It’s especially worth the trip this winter if you’re into storm watching. 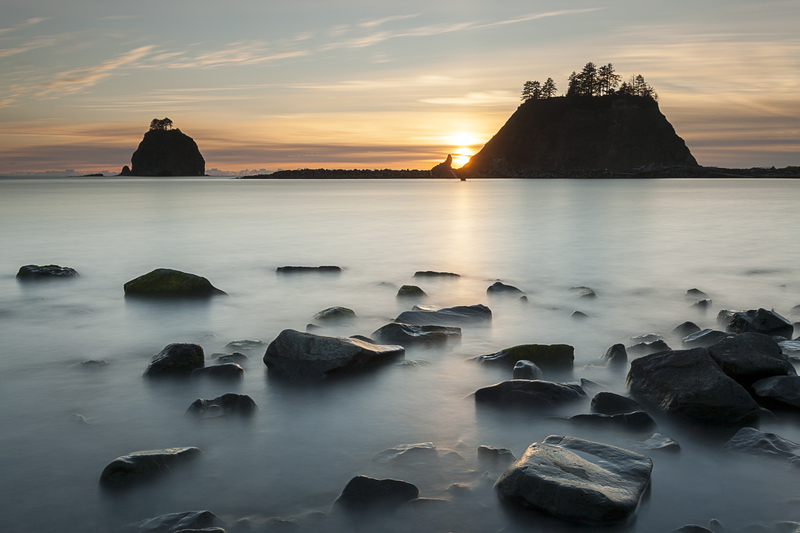 Popular beaches include 1st and 2nd beach in La Push, Kalaloch & Ruby Beach, or Hobuck Beach. Visit the Makah Cultural and Research Center. Here, you’ll find artifacts from the Ozette Indian Village Archeological Site, a replica long house, as well as canoes, basketry, whaling and fishing gear, and so much more. A trip to Cape Flattery is a must, if you’re truly dedicated to seeing the Olympic Peninsula. Cape Flattery is the most northwest point of the contiguous United States. From here, you can see see Tatoosh Island and the Cape Flattery Lighthouse; a stunning view no matter the weather. Before you head out for any of these adventures, you’ll probably want to fuel up with a hearty breakfast. There’s no better place to do this than Sequim’s Oak Table Cafe. You can’t go wrong with their German Pancakes. After a day of adventure, you’ll no doubt be starving again. Popular restaurants in Port Angeles are Bella Italia and Next Door Gastropub. In Sequim, enjoy the local cuisine at Dockside Grill, Nourish, or Alderwood Bistro. Our knowledgeable real estate agents are here to help with any questions you may have about the area. We have over 30 years of experience in the Sequim real estate market and life on the Olympic Peninsula. Who knows. After an adventure like those listed above, you may just have to move here!